Despite their openness to try all types of food, my children are quite happy to eat certain kids’ fare, most notably mac and cheese. What’s not to like? It’s got pasta, milk, butter and cheese in it. I’ve made many variations of it over the years, but this is the one I’ve settled on. The kids love it and frankly, the adults love it too. Preheat oven to 350 F. Cook pasta according to directions to the longest recommended time for the softest pasta. Meanwhile, melt the 5 Tbs. 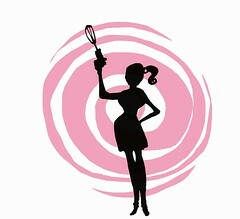 of butter in a large saucepan or dutch oven. Cook onions until soft (about 4 minutes). Add flour and cook for about 4 more minutes. Add milk and bring to a boil. Lower heat to medium high and cook for a few minutes until mixture thickens, stirring frequently. Turn off heat, add cheese and mix well. 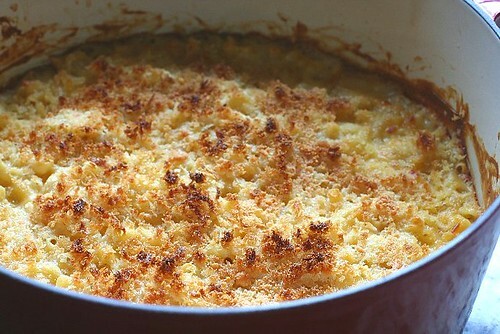 Add cooked macaroni to cheese mixture and incorporate well. Add ground nutmeg and salt and pepper to taste. Yummm! Mac and cheese was always a favorite of mine when I was younger, but it wasn’t until recently that I found the awesomeness that is baked mac and cheese. I love meals like this that can be simple, yet so good. 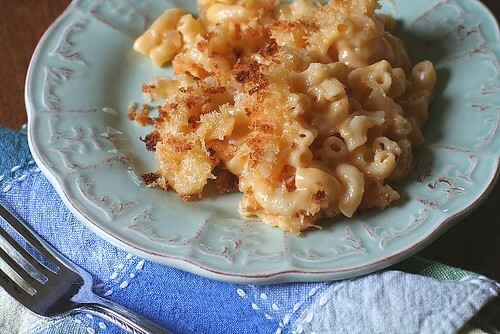 I love Mac and Cheese..however my two children(3 and 5) are probably the only children know to man who wont eat eat! Drives me crazy! Love the addition of nutmeg! OMG, can I have a big bowl? Looks so delish! My recipe is just like this except I like to add just a smidge of dried mustard powder. I love mac and cheese especially with the bread crumbs on it, it really adds something nice to it and yours looks great! Yum! The crust on the top looks great. Hard to believe, but I’ve never actually made mac&cheese from hand. When I make boxed kind, I like to add a can of tuna and frozen peas: my friend’s kids LOVE it. It depends on whether it’s the main course or a side dish – it would serve 6 as a main dish, 8+ as a side. They’ll say “Oooh, gross!” – and then eat ’em! I’m not a kid, but I’d still take some!